Seventy days! It only took seventy days to create an unwavering link between Vincent van Gogh and Auvers-sur-Oise a small village stretched along the Oise River at only 30 km from Paris. Vincent arrived in Auvers on May 20th 1890 after a stay in a rest home close to Saint-Remy de Provence. He felt better and when he asked his brother Theo to get him a quiet place where he could find peace of mind and plenty to paint, Auvers came as an obvious choice. Auvers was discovered in1860 by Charles-François Daubigny famous landscape painter of his time who travelled on his studio-boat on the French canals and rivers. He was one of the first painters to set his easel outdoor and paint in free nature. 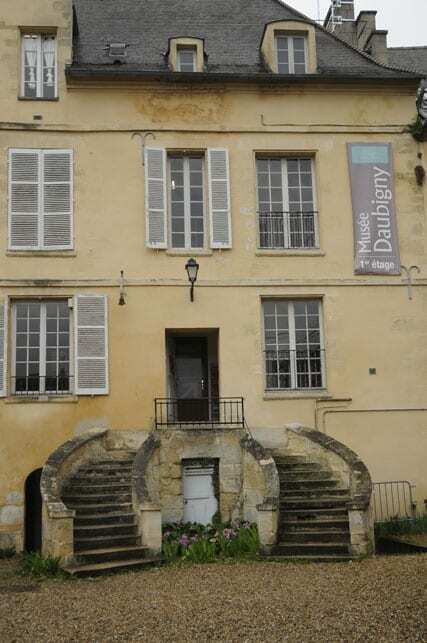 Soon he decided to settle down in Auvers, bought a house and invited his fellow painters such as Corot, Daumier, Pissaro, Cezanne to come and paint with him in Auvers. Although he was dead long before Vincent came to Auvers this charming and picturesque village was still a place where artists used to gather. 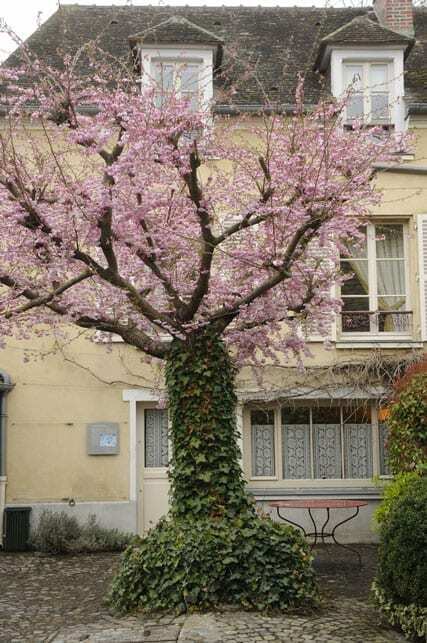 When Theo Van Gogh found out that Dr Gachet a prominent neurologist and a talented amateur painter owned a house in Auvers he knew he had found the perfect place for his brother. 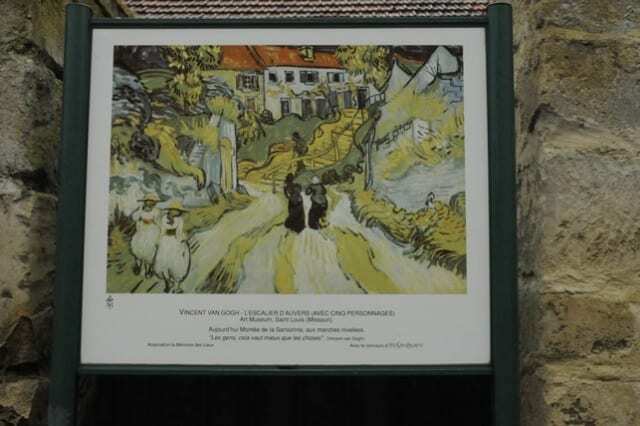 When Vincent got to Auvers he was glad to write to his brother about the many artists he was able to meet there, about Dr Gachet and his friendly and caring attention and most of all about the village and its surroundings: “Auvers is seriously beautiful”. Contrary to popular belief it has recently been proven that Vincent Van Gogh was not this crazy, poor and accursed artist depicted in many books and movies. He actually was well educated, a recognized painter by the artistic world and was beginning to sell his paintings allowing him to make a living out of his work. During his short stay in Auvers his creativeness reached a maximum and he made over 80 paintings and drawings in 70 days: the church, the villagers, Dr Gachet, the town hall, the river, wheat fields… Anything could inspire him. However his old demons reappeared and he committed suicide on July 27th and died in his small bedroom filled with his paintings on July 29th. Although the local priest refused to celebrate Christian funerals for a suicide a lot of people came to Auvers where his room had been filled with yellow flowers, and accompanied him to his grave in the local cemetery. It was on a sunny day full of light and colours but they were all crying. Visiting Auvers-sur-oise today is discovering a lovely French village where Vincent’s mark is everywhere to be seen. 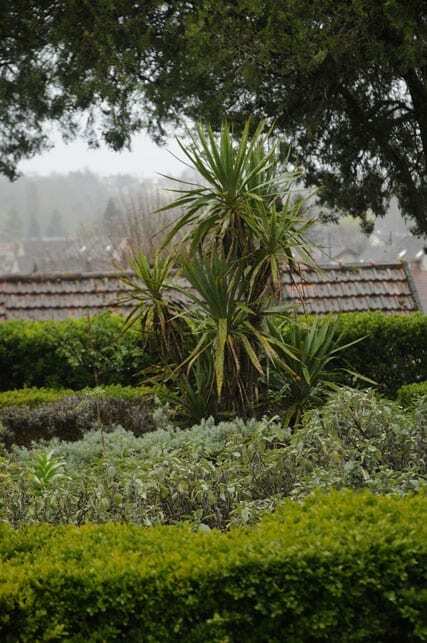 From the railway station or from the car park you will easily reach all the places of interest by foot. 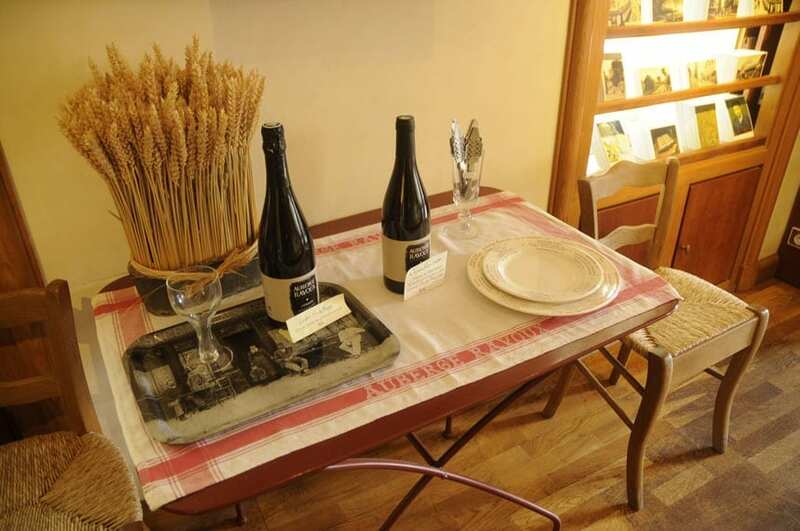 Next to Van Gogh statue you will find the recently renovated tourist office to get a map of the village and prepare your itinerary. 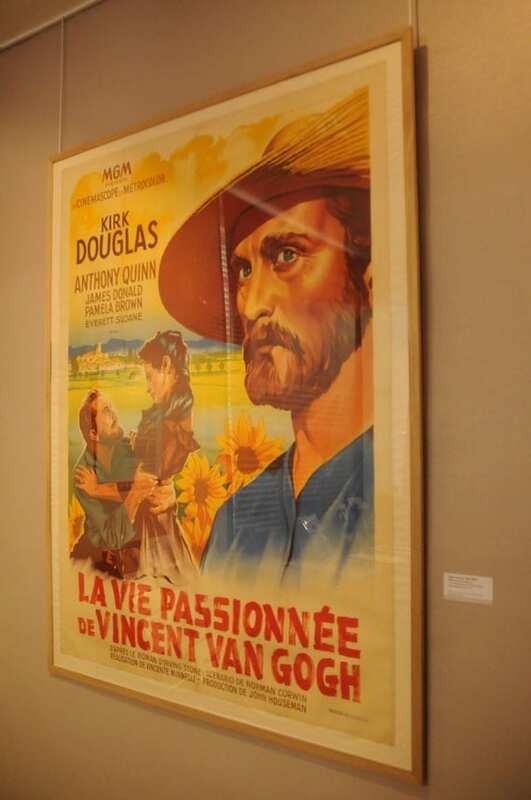 Don’t miss to visit the Musée Daubigny where on the occasion of the 60th anniversary of the shooting in Auvers of the movie “Lust for Life” by Vincente Minnelli staring Kirk Douglas, a new exhibition presents us the work of 3 major film directors. It shows how Minelli used Vincent’s paintings to create colourful backgrounds for the movie’s scenes. In 1989 Akira Kurosawa also used Vincent’s paintings for his movie “Dreams”: in one of the scene young Kurosawa meets Van Gogh acted by Martin Scorsese in a wheat field while crows fly over it, just like in the famous painting. Finally we rediscover the movie “Van Gogh” by Maurice Pialat a French director who hesitated for a long time between a career as a painter or as a film director. The Dr Gachet’s house has been turned into a museum and the present exhibition present us the Goupil & Cie an editor and art dealer house where Vincent and Theo Van Gogh worked. If Vincent didn’t work there for a very long time, Theo started there a successful career as an art dealer that allowed him to help his brother sell his work. 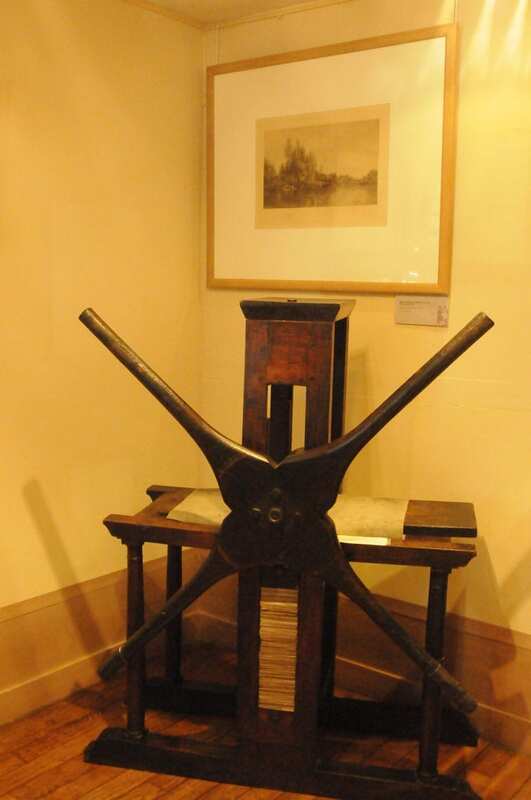 The Goupil house sold etchings, drawings, paintings and photographs by famous artists of the time such as Gerome, Millet, Corot, Tofano, Degas… They also sold many prints that lower prices allowed art to enter less wealthy homes. A very successful business! 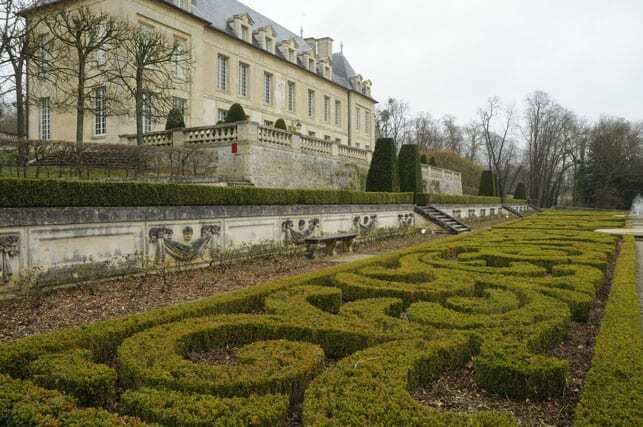 The Auvers Castle is another museum dedicated to impressionism. The exhibition called “Voyage au temps des Impressionistes” takes us into the late 19th century Paris its cabarets where customers used to drink the dangerous absinth. Five hundreds paintings are projected on big screens making you go inside them in an attempt to feel like the painters. 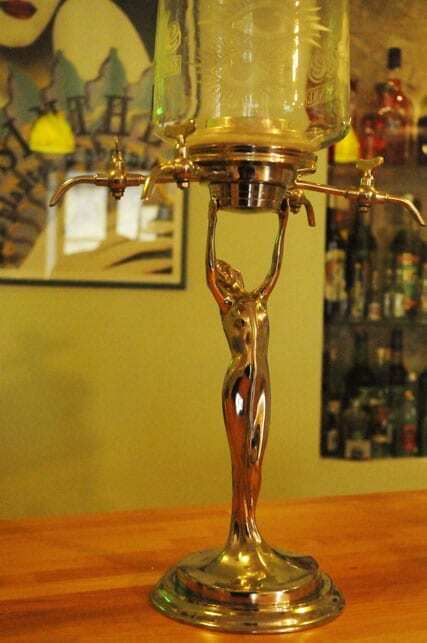 To learn more about absinth you will have to go to the Absinth museum. An enthusiastic lady created this uncommon museum where she has gathered innumerable artefacts: glasses, spoons, bottles, etchings, advertising posters… Toulouse-Lautrec and Gauguin taught Van Gogh how to make a glass of absinth and he quickly got fascinated by its green colour and by its taste… You can end your visit by tasting a modern recipe of absinth avoiding its poisonous ingredient but still enjoying this Fée Verte as the French call it: the Green Fairy. 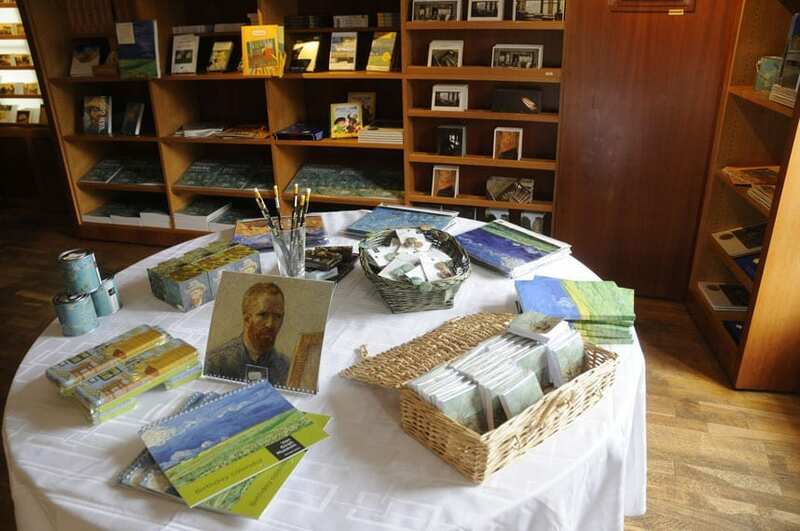 The visit to the Auberge Ravoux also known as Van Gogh’s house surely is the most moving one of all. This inn was the last home of Vincent and the place where he died after shooting himself. The story of the present owner, Dominique –Charles Janssens, is quite extraordinary: this Dutch citizen was on holydays in France in 1985 when a serious car accident stopped him right in front of the Ravoux Inn. During his long convalescence he immersed himself in Vincent life and discovered his correspondence. From that moment on his life was transformed, he gave up his job and bought the inn. 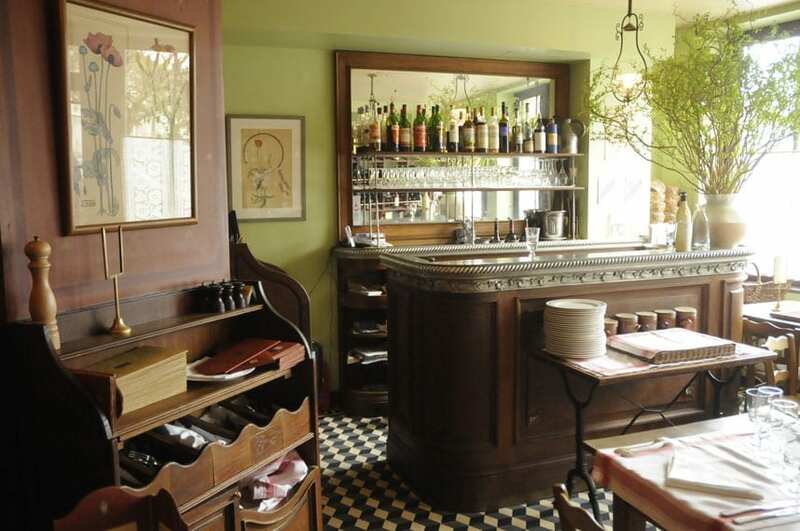 In 1987 he founded the Van Gogh Institute and turned the inn in a museum-restaurant. Amazingly the room where Vincent lived for 70 days and where he died has remained untouched since that day: being the room where a suicide died nobody wanted to sleep in it anymore and the room never got renovated. You can still see his small metallic bed and the bare walls that sheltered him. Since 1993 1,250,000 visitors from all over the world have come to reflect in this small and touching room. 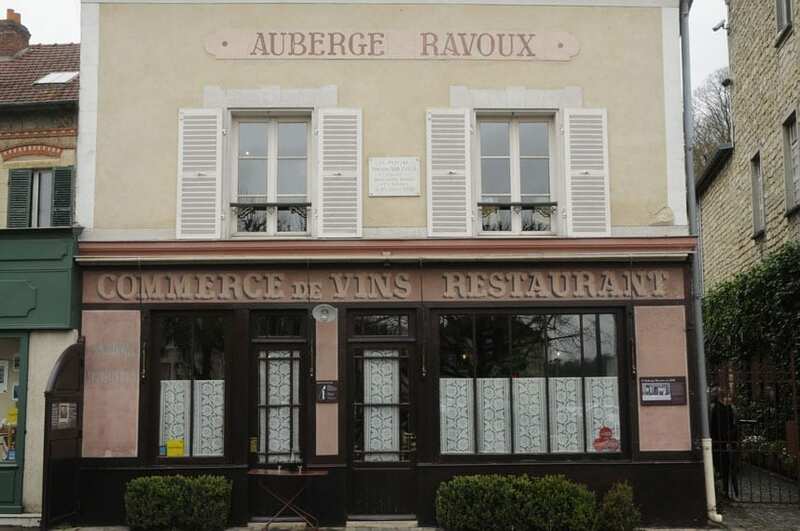 The Ravoux Inn also is the perfect place for a tasty meal in the typical restaurant looking like a postcard of a 19th century French café. 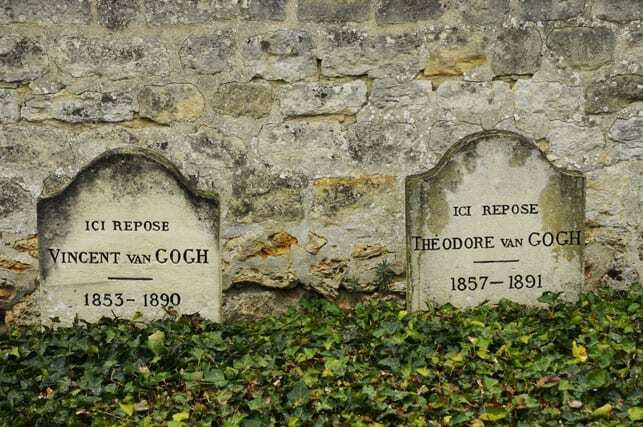 Your visit wouldn’t be complete without going up the hill to the cemetery where the twin graves of the Van Gogh brothers have been set side by side. Theo died in Holland six month after Vincent and his wife had his remains transferred to Auvers in 1914. She wanted the two brothers who had been so close to stay together forever.